Briana is a strong young lady. She is the kind of person who makes you feel better about yourself, because she carries her own light so beautifully...she lights up any room, and is always looking for ways to help others. These are just some of the reasons why I loved working with such a sweet high schooler. She attends Arroyo Grande High School, where she is active in competitive cheerleading. "Some of my favorite high school memories include the school dances, and of course, being part of the cheer team", she explained, "I hope my friends would describe me as someone who was caring and outgoing." In any spare time she has, Briana enjoys volunteering at a local dance studio, and helping out with community events. 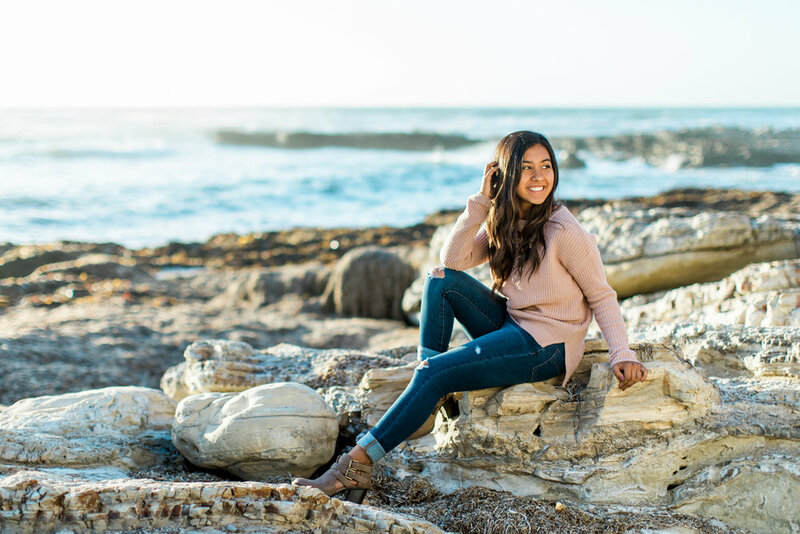 "I chose Jill for my senior photos because I loved the vibe and style of her photos. I also thought she was really helpful in the process", continued Briana. 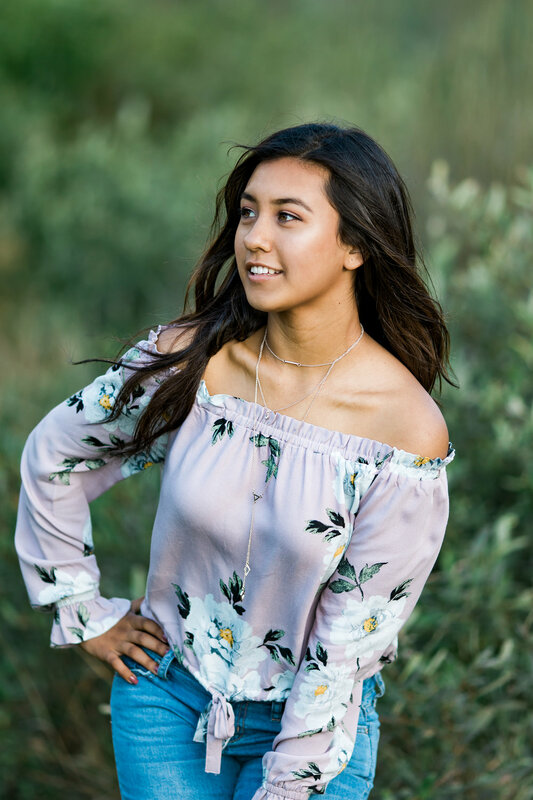 I was so grateful for her words, because I strive to be present for every step in the senior photo process...it can be confusing and overwhelming and filled with hidden costs. I try hard to make sure that is not the experience I provide, and I am glad she had such a great time. After graduation, she plans to join the military. What an admirable career choice, and she adds, "Ever since I was a little girl, I planned on joining because all of my uncles (and my dad) were in the military. I am passionate about protecting our country, and I'm happy to be joining up in the Army so I can help. I have chosen Human Resources, because after I’m done with the military, I can go into studying to be a Mutual Fund Manager." 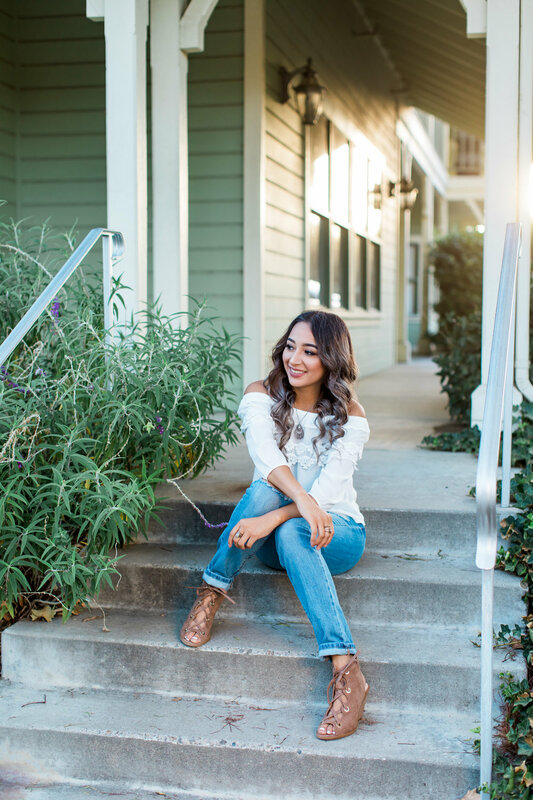 We did this shoot in the cute little area of Los Olivos in the Santa Ynez Valley, one of my favorite places because of the way the light and the trees look so lovely! 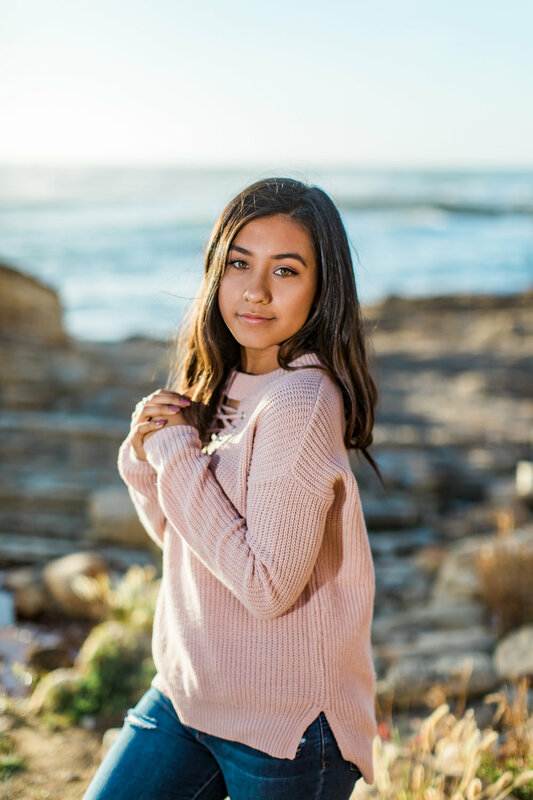 Celeste looks up to both her parents, and says they are her biggest examples: “My mom and dad are so hardworking, and I aspire to be like them as I grow older. My dad has shown me so many things, like how a woman should be treated, and how to defend myself. He also taught me to drive a stick shift! My mom also is inspiring, in that she went to college after I was born, to become a certified X ray technician. 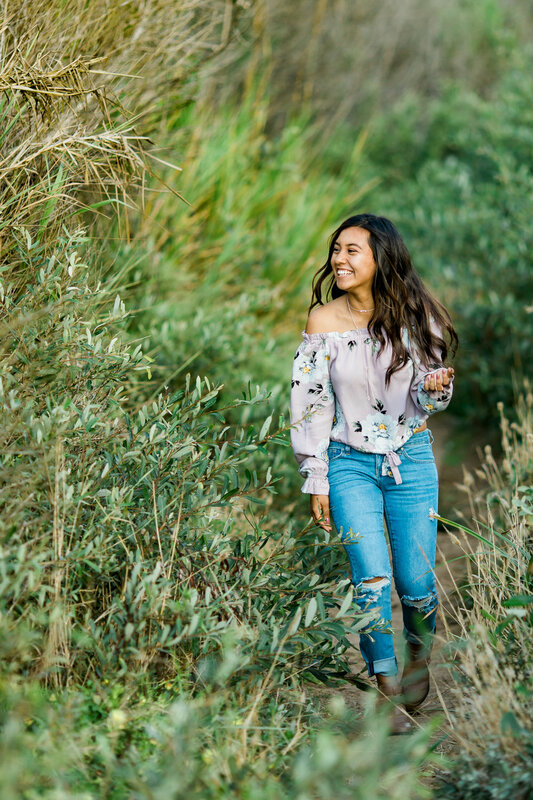 No matter what life hands you, you can still pursue your goals in life.” This beautiful senior says her friends would probably say she is caring, loving, fun and passionate, and she hopes these characteristics will benefit her later in her career. “After high school, I plan to attend Allan Hancock College and then transfer to a four year university to pursue a medical career”, she adds, “Specifically being a technician of some sort either a x-ray technician or an ultrasound technician. 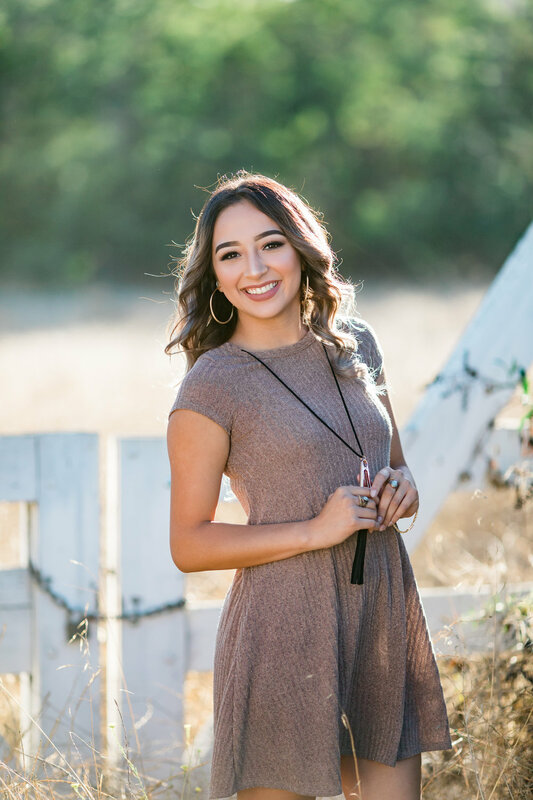 I chose this route because it is best suited for myself and my family in the way that I could live at home while attending college and save money for when I transfer.” In five years, she hopes to be pursuing her career goals, and to have really settled into adulthood. I loved working with her! When you book your senior photographer, you want to be sure you're going to get the images you've dreamed of. At the same time, I always urge my senior clients to never forget about the actual experience and the memories you'll make. Not only will you be left with beautiful images, but you'll always remember the time you had while you were taking the photos. My senior team is called the JMP VIP's, and it's truly an exceptional experience! I try to make it new and exciting every single year. If you're considering thinking about choosing me as your photographer, please sign up early and become a VIP! My VIP clients shoot their senior portrait session in early summer, and also have a complimentary shoot in the spring. They are also the only clients that can participate in my exclusive styled shoots. These come up throughout the year, and involve fun new concepts, creative work, or testing new styles! They are always a ton of fun and you'll meet other amazing seniors along the way. Some of the past styled shoots have been evening shoots, a winter lights theme, a Moroccan themed session in the dunes, and preppy autumn themes. I am always dreaming up more ideas! Although these are always so much fun, the true highlight is our JMP VIP Couture shoot! This is where we go big! I put together a styled, themed shoot every February that is exclusive to my VIP clients. I bring in professional hair and makeup teams, and a stylist, and we achieve the perfect look! In the past, we have done bohemian themes, Audrey Hepburn styles, and a 70's themed session. Seniors love it, because they get pampered by my glam squad! 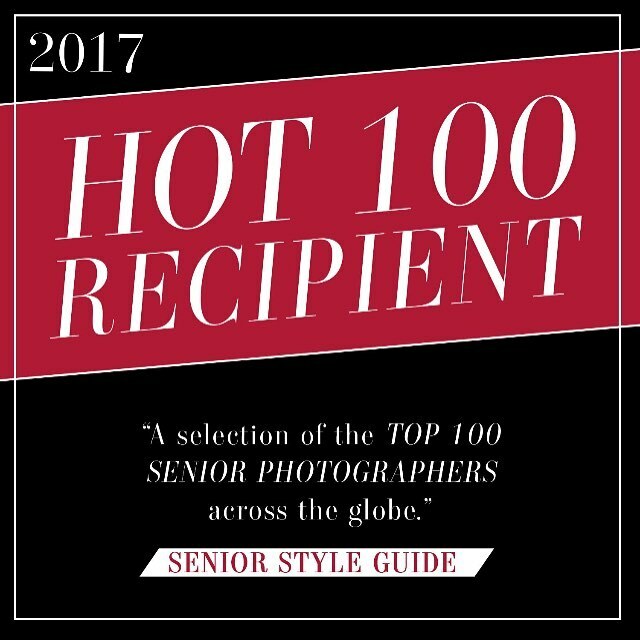 In fact, my recent win in the Hot 100 Contest featured an image from one of these shoots. Find out more below and sign up HERE!